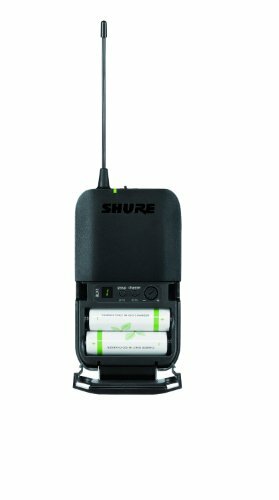 Where Will Your Wireless Mics And Receivers Be Positioned? Where Do You Plan To Use Your System? How Many Wireless Microphones Are You Going To Use? 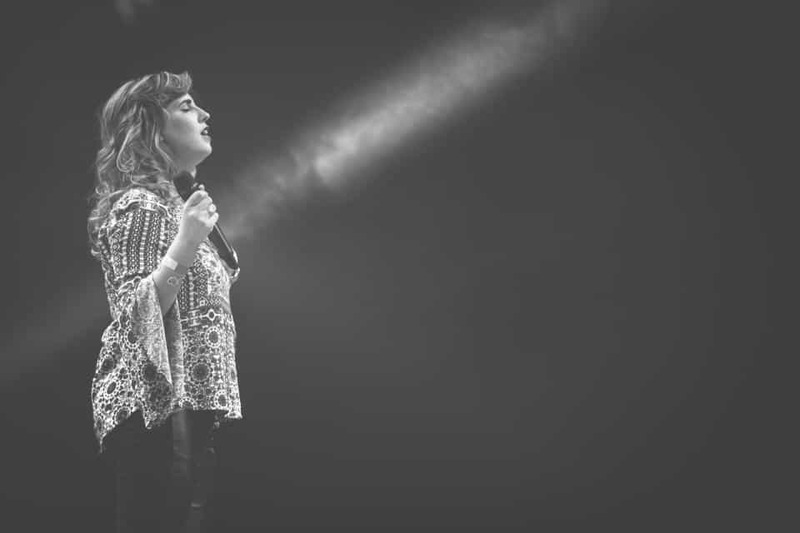 Finding the best wireless mics for a church can be a daunting task. Especially for pastors or leaders who are not musicians or sound technicians. Knowing which one will sound the best, work without embarrassing CB chatter, pops and hiss, and all the other problems that come with wireless systems can be a bit overwhelming. 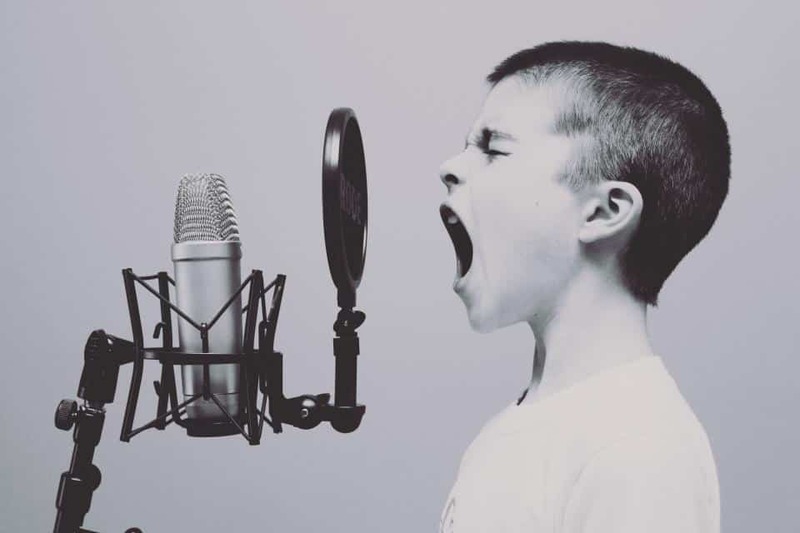 Hopefully, once you read this article, you will have a better grasp of which wireless microphone system you need to get for your church or organization and which one will be most straightforward to use for your volunteers running the sound system. In the early 1950’s the Shure Brothers developed the first wireless microphone system for performers. It was called the Vagabond. It had an insufficient signal distance of about 15 feet. In 1957, a German company called Lab W, later to become Sennheiser created a wireless system that could transmit 300 feet. When I first started performing professionally in the 1980’s conventional wisdom was that Shure was the rugged workhorse in the music industry and Sennheiser was the choice of the elites. Sennheiser mics were high end but not as durable. However as Sennheiser has delved into the medium and lower end price points, the differences between the two are not as pronounced as they once were. If you go onto the different musician forums, you will see that the opinions about Sennheiser vs. Shure are as abundant as armpits. 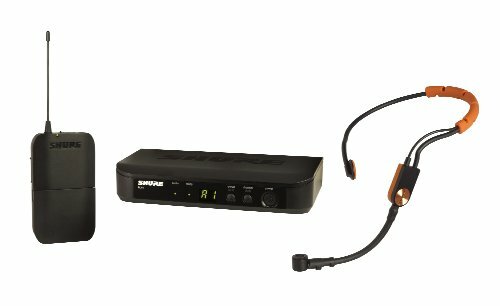 The bottom line is that both Sennheiser or Shure will do an excellent job for your church. However, if you want to stay out of trouble with the musicians in your church, ask them which they prefer. 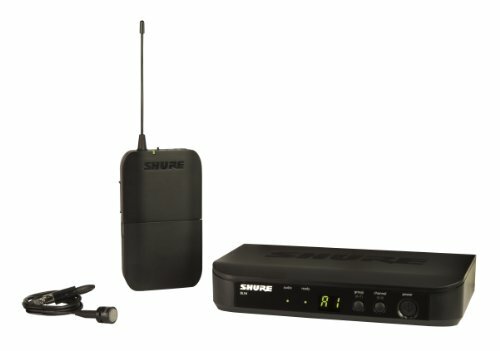 I am only going to recommend either Sennheiser or Shure wireless mic systems for your church. There are other “cheaper” alternatives out there, but in all honesty, you don’t want to “out cheap” yourself in this area. Remember the days of broadcast TV before cable? You had channels 2-13. Those were VHF. Channels 14-99 were UHF. Historically, UHF transmitters were the higher price point transmitters, and the VHF were the lower end. They had a longer transmission distance and had less TV interference. However, there are some caveats today about this advantage. As our media technology is changing, so too is how we are transmitting signals. UHF frequencies are being designated for public safety channels and digital television transmission. As a result, the UHF band is becoming more crowded. Also, the higher end of the UHF spectrum (above 900Mhz) is being used for garage door openers, Cordless telephones, and ham radio. This can cause much interference with your wireless mic system. However, there are some solutions to this interference which I will talk about when I go over essential features. Most wireless analog systems use a process called “companding.” Companding (occasionally called compansion) is a method of mitigating the detrimental effects of a channel with limited dynamic range. The name is a combination of the words compressing and expanding. They compress the signal when transmitting from the microphone and then expand it back to the original signal at the receiver. Another circuitry is used to filter out the noise in the signal. This is why it is not recommended to mix and match components from different manufacturers and possibly even the same manufacturer but older or different systems. 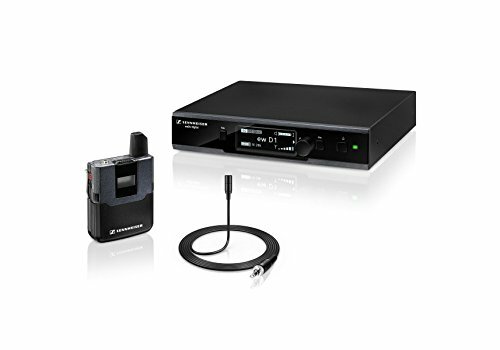 Digital wireless microphone systems convert the audio signal picked up by the microphone into a digital bitstream in the transmitter and send that digital signal to the receiver. The receiver then converts that bitstream into an audio signal. The main benefit of going digital is that it eliminates the need for companding and filtering out interference. The only thing the receiver is picking up is digital ones and zeros. Every wireless mic system has two components. They are the transmitter and the receiver. What varies is the type of microphone you are using. All handheld microphones have the transmitter built into the microphone. As with all microphones, you can vary the type of microphone as well. You can have dynamic mics, condenser mics, unidirectional, omnidirectional, and the list goes on. There are even transmitters now that will attach to the end of a regular xlr microphone and convert that microphone into a wireless mic. These wireless transmitters clip onto your clothing, or guitar strap, or can even be put into your pants pocket or inner suit jacket pocket. They can be used with lav mics (lavalier, lapel) or with instrument mics. Lav mics, short for lavalier, are also called lapel mics. They will clip to your clothing. Many pastors and public speakers use this type of mic as well as TV personalities on news stations. 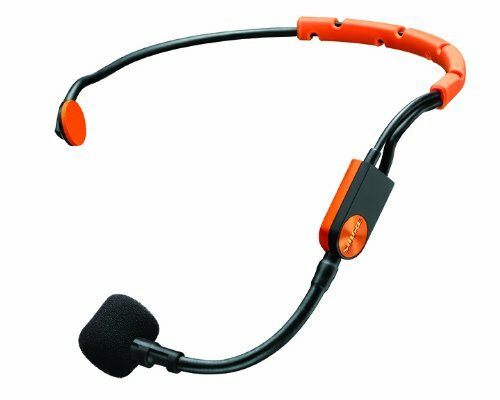 Headset mics are typically used for vocals. 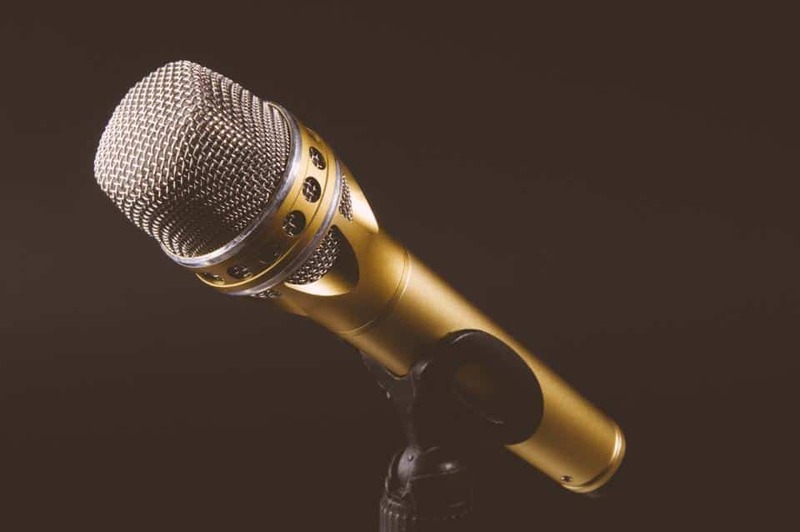 Most musicians, lead singers, and worship leaders use these mics. More and more pastors are starting to use these mics as well since they give better audio quality than a lapel mic. 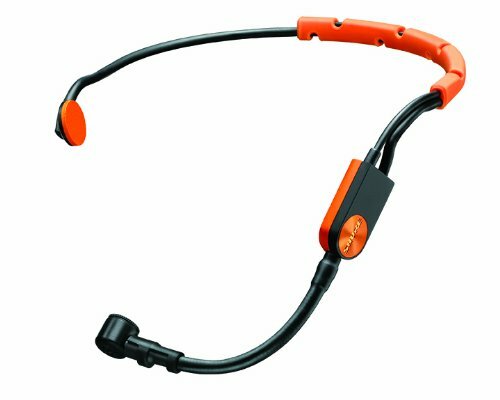 There are also clip-on instrument mics that work the same way and instrument jack bodypacks that will plug into an electric guitar or bass guitar. 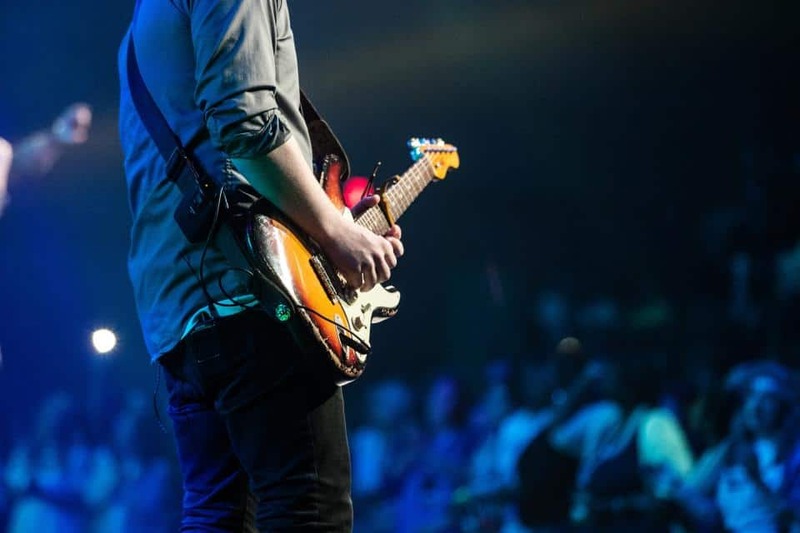 These are becoming the favorite of worship bands across the globe because of the freedom they bring. 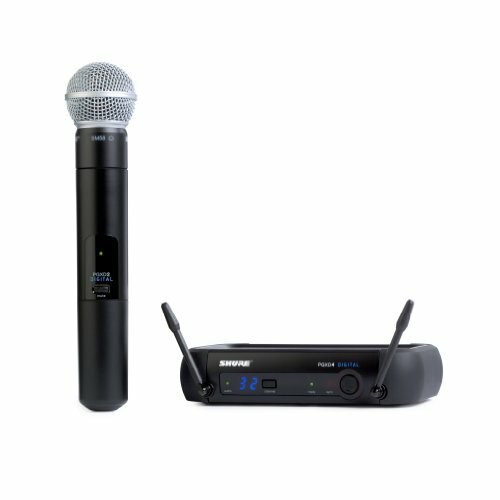 The goal of a wireless microphone system is to give you the same audio quality as a wired system but gain the freedom of not being attached to the wire. You also want it to be easy for your volunteers to use. So you want to pay attention to…. Its dynamic range (the range between the lowest frequencies it gives your soundboard, to the highest. The distance that it operates without losing signal. Its ability to filter out interference and keep a steady signal. With those things in mind, you will want to look at these features. You want your receiver to be able to switch signals without dropping the sound. You want it to have the ability to be “diverse.” One easy way to tell if a receiver has diverse circuitry is whether or not it has two antennas. This is not a hard and fast rule, so make sure it has two radio receiver modules. What happens with diverse circuitry is that the receiver is always checking to see which signal is most potent. It switches between the radio receiver module that has the most signal. Now if you are going to use your system in one place, like a church or meeting hall, then this is not nearly as important than if you are going to be mobile with your wireless mic system. When you can’t control where objects are located, that might block the signal, this is important. If you are going to use your wireless system in a city or town of any size, then this is important. You need to be able to choose a frequency that is not being used for other things. The same is true if you are using multiple wireless microphones. You need to be able to choose different frequencies for each microphone. Only if you are going to use your system in a rural country church or grange hall and use only one wireless microphone does this become unnecessary? It should be well lit and easy to read. It should be big enough so that your sound crew can view it and get the information they need at a glance. Before you buy your wireless mics, look and see where they will be positioned. Is there any obstacles like pillars, walls, or other equipment that will block the line of sight between your mics and your receivers. If so, then you need something with diverse circuitry. For some, this might seem like a no-brainer, but not all churches are created equal nor will everyone be using the system exclusively for a church setting. Some churches are still in the planting stage and are setting up and tearing down each Sunday at a rented facility. You never know whether or not you will be at that facility long-term or if you will move more than once before having a permanent location. So you need to ask yourself if you are going to be using this in one location only. If so, then your needs are simple. You need a system that can choose various frequency channels, so you don’t get interference from the local TV stations. If you need to adapt because you may move locations, then you need a system that is frequency agile. If your answer is one, then you don’t need to worry about being able to receive more than one channel. If you plan on using more than one, then you need something that will accept multiple signals from different microphones. Again I would encourage you to think about the future. You may only use one now, but can you see yourself switching to an all-wireless system in the future? That would be nice, and it is something that I am looking towards in our future as I see the day of wired systems slowly waning. 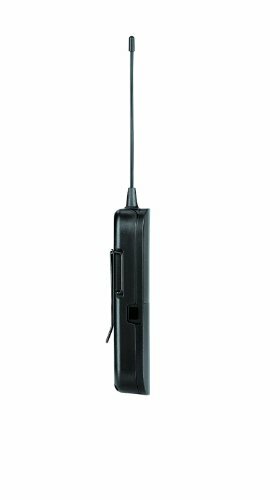 The PGXD24/SM58 Handheld Wireless System is part of the Handheld wireless systems family. PGXD4 receiver, PGXD2/SM58 handheld transmitter, clip, power supply, 2 AA batteries, carrying case, and user guide. PGXD2 transmitter features automatic setup,a multi-function LED Indicator,and provides you with 8 hours of continuous use on 2 AA batteries. The SM58 mic is legendary for its uncanny ability to withstand abuse that would destroy other microphones. 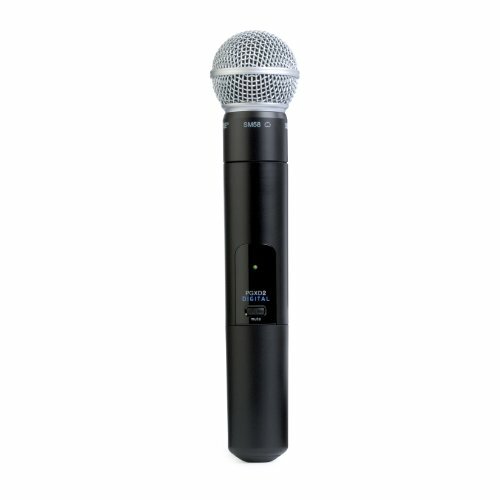 The SM58 mic is world-renowned for its distinctive upper-midrange presence peak that ensures an intelligible, lively sound. Perfectly fits a performer's hand, balanced for total comfort during long gigs. 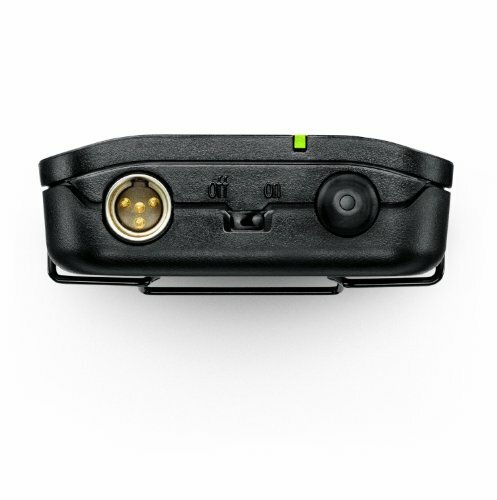 It gives you and your microphone a generous 200' (60m) operating range without losing audio quality. Frequency response is a smooth, vocal-tailored 50Hz-15kHz, and the price is a bargain considering its life expectancy. The SM58 has not only helped to define the sound of rock vocals on stage, it's also been used to build stages and later flawlessly performed with. Auto frequency selection, and greater reliability thanks to its true digital diversity. 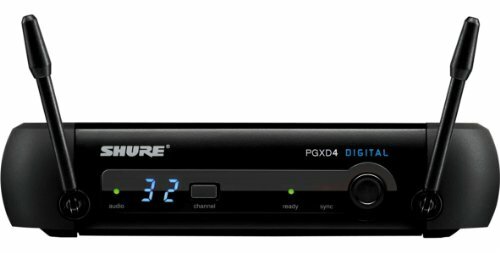 The PGXD4 receiver offers a 24-bit/48kHz resolution for incredibly accurate sound, auto frequency selection, and greater reliability thanks to its true digital diversity. The Shure SM58 mic is legendary for its uncanny ability to withstand the abuse that would destroy any other microphone. That is why I didn’t recommend it’s cheaper cousin. The 900 MHz operation keeps you free from TV signal interference. Customers have said that the Scan & Sync instantly and accurately set up the system. Customers have noted that it has a low battery life. Customer reviews have complained of feedback problems. TheD1 automatically configures itself to deliver great sound. Focus on your performance, not on your gear! The D1 automatically scans and selects the best frequency for operation. There is no need to set the frequency manually. If interference is detected, D1 seamlessly moves to a new channel. The crystal clear digital sound, featuring the renowned aptX Live codec. The D1 offers broad frequency response, excellent dynamics and low latency. It has all metal construction making it a favorite of musicians who like the old school feel. If your church has many people using Wi-Fi during the service, then it may cause a conflict. Older Wi-Fi operates at the same frequency as these mics. Customers have complained of low battery life. You have quick and easy receiver frequency matching (Group and Channel selection buttons). It boasts up to 300 feet (91m) transmission radius (line of sight). 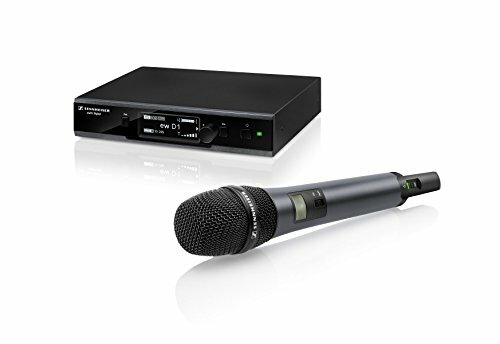 Customers have said that it has more volume than the equivalent Sennheiser wireless microphone system. Some customers have reported that the system sounds great when practicing but struggles when there is a crowd. This could be caused by Wi-Fi or the system having low signal strength. As it seems with all wireless mic systems, customers complain about battery life. You will notice that the rest of the wireless mic for church reviews do not have pros and cons listed. That is because the systems are identical to the ones above I have already reviewed except for the type of wireless mic that comes with the system. I didn’t want to bore you with saying the same thing over and over again, yet I did want to make it easy for you to go directly to the type of system that you are looking for. That is why I provided you with a link to find out more information or to purchase the one you need. Both of these companies have great products. It all depends on the preference of your musicians and sound technicians whether to go with Sennheiser or Shure. 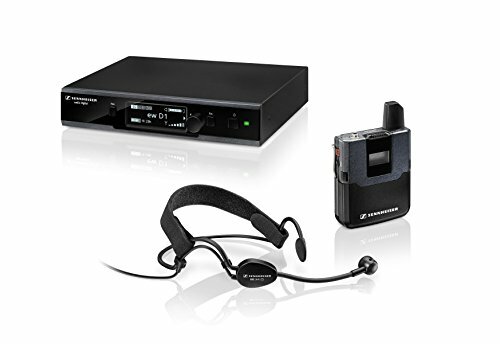 My personal opinion is that unless you are on a tight budget, spending the extra hundred dollars or so to get the Sennheiser is advisable. I don’t think you will be disappointed. Well, there you have it. I am not an expert, but I am experienced. I hope that I have been able to give you an easy to understand guide to buying the best wireless mics for a church. Let me know what you chose. I want to see that I am helping people.